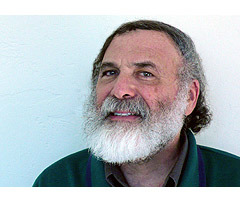 Hillel Schwartz is a poet, translator, case manager, and independent scholar who has published widely on topics in cultural history. His most recent opus is Making Noise from Babylon to the Big Bang and Beyond (Zone Books). During the 1990s, as Senior Fellow at the Millennium Institute, he worked on strengthening ties among groups using the turn of the millennium as a prompt for concerted action toward a more sustainable world. He contributed substantially to the design of the most widely heralded theme pavilion at Expo 2000 in Hannover, “Planet of Visions.” With a PhD in European History and History of Religions from Yale, he has lectured at the Southern California Institute of Architecture and is currently a Visiting Scholar at UC San Diego, where he helped inaugurate a college devoted to Culture, Art, and Technology.